Millennial students, like you, wish for the perfect grades in the world of pragmatic competition. But, essay writing assignments often stand as an obstacle in the path. Sometimes there’re tight deadlines, other times insufficient knowledge causes the trouble. For the former, getting in touch with the reliable and pocket-friendly Management Writing Solutions is an absolute solution. But for wisdom and exclusive writing tips, you are just at the place to be. Convention says, whatever you do planning makes the process much suave. Only with proper planning, you can draw the roadmap for your essay. Moreover, it allows for quick actions, as well. Rather than thinking before every step that you take, think once and work accordingly. So, what are the elements to be considered in an essay plan? On the choice of your essay theme depends on the fate of its quality. The narrower and stronger the topic is, the better will be your draft. Don’t go for those having bigger aspects and broader dimensions. Read the questions thoroughly in order to identify the underlying thoughts. Delving deeper into the matter gives a translucent view that helps in framing the essay with all the radiant information. Once you get hold of the essay questions, it’s time to brainstorm the responses. Spend at least half an hour thinking and finding the scopes and aspects of the subject matter. The last phase of essay planning is dedicated to taking note of your brainwaves and considerations. Annotate only those that are significant and relates to the subject line. Cut out the redundant ones. Like a proper plan speeds up the writing process, an outline does the same. Even a critical topic can be tackled if you organize the ideas and format the structure, beforehand. Not only it keeps the writer in tangent with the central theme, but also, allows the readers to be on the same page. The scope of confusions and dilemmas gets evaded if you proceed according to the outline. Open with a creative hook statement, which can be quoted, interesting facts, real-life connections, anecdotes, etc. Raise a claim or portray a particular event. State the main idea in the first sentence. Strengthen the point with supporting details – it can evidence, facts, or expert opinion. Use at least 2 evince for deep persuasion. Note: There can be more passages like this (as many as you need to explain the essay topic). But at least three passages should be there. The moment when you start writing, you will understand the necessities or, you may say, the usefulness of planning and outline. It binds your thoughts and helps in an excellent creation. If submission is due soon, Management Writing Solutions is certainly the best choice for an essay writing service. Otherwise, take a close look at the writing instructions for self-composition. The beginning creates the first impression. Be cautious while penning the first passage. Besides starting on a creative tone, try to be enigmatic all through the passage. Trigger audiences’ curiosity with hints to actual research but precisely state the central theme by the end of the opening paragraph. Body section is for all the explanations. Here, you should articulate clearly on the concerned matter. With all the justifications, evidence, facts, paraphrases and expert opinions, make your point clear to the targeted audience. Just, bear in mind that overstatement and hyperbole are considered as a poor sense of writing. The final passage is as important as the opening one. Some decide to read the whole only if the ending seems relatable to them. So here, reword the thesis, keeping the same essence and insert crucial facts from the essay. These certainly encourage readers to navigate further. End in a recommending tone. The aforesaid ideas appear to be constructive for procrastinators and those having tight deadlines. If you follow these instructions, attaining utmost success won’t be a trouble anymore. To better comprehend the style of writing, download essay examples and read them. This excels your writing skill and takes you a step closer to match the quality that of an experienced and adroit writer. 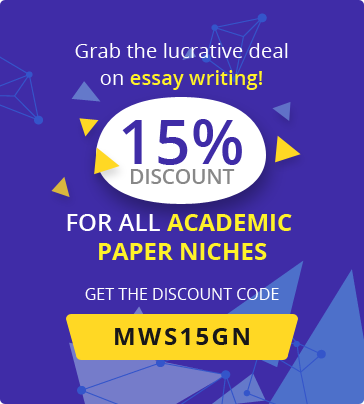 Let experts handle your essay! Hire our adroit writing service for excellent pieces of essays within deadline. We assure of quality and uniqueness.